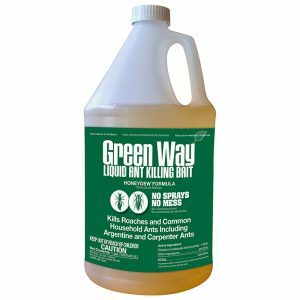 The Bug Bar® Insect Bait Station is an ingenius, yet safe and easy-to-use, refillable/disposable delivery system for Gourmet Liquid Ant Bait® or Gourmet Ant Bait Gel®. 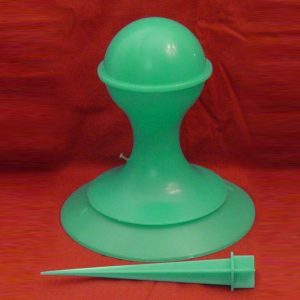 Designed to deliver focused treatments for ants and roaches, this clever configuration can be refilled even when closed through the filler hole in the lid. 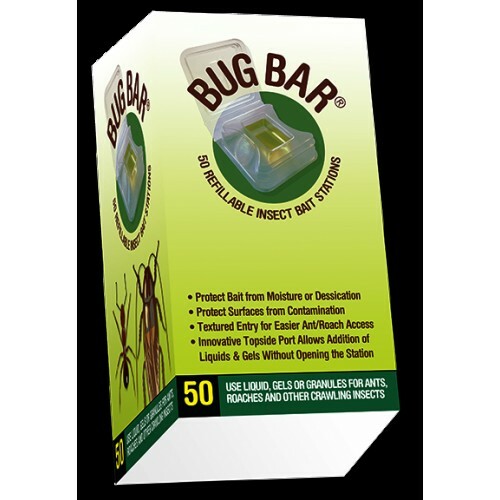 Bug Bars are shipped 50 unfilled bug bars per box, 20 boxes per case. •The Bug Bar® Insect Bait Station is a sturdy, attractive, thermoformed bait station approximately 2″ x 2″ square. •The reservoir holds up to 1/3 ounce of liquid, gel or granular bait. •The entryway is designed to accommodate ants and roaches. •The ribs on the entryway provide a secure foothold for large roaches. •The cover easily snaps closed and is difficult for small children to open. •The Bug Bar® can be filled or refilled through a fill port on the top of the bait station. •The Bug Bar® can be secured in place with double sided tape or ‘Hercules’ putty.